Home > Candles > Emergency and Stock Unscented Candles > Recycled Scrap Firestarter Wax - Price per lb. We make a lot of candles. We don't always pour all the wax we melt. Sometimes candles don't turn out like we expected. Sometimes it's just scraps sitting around of different colors and/or scents. Whatever the reason, it's a great deal for you, low cost, and perfect material to use to make firestarters inexpensively. These are mixed lots of all types of paraffin and soy waxes. Some lots may be scented and colors will vary from very pale shades to dark shades. 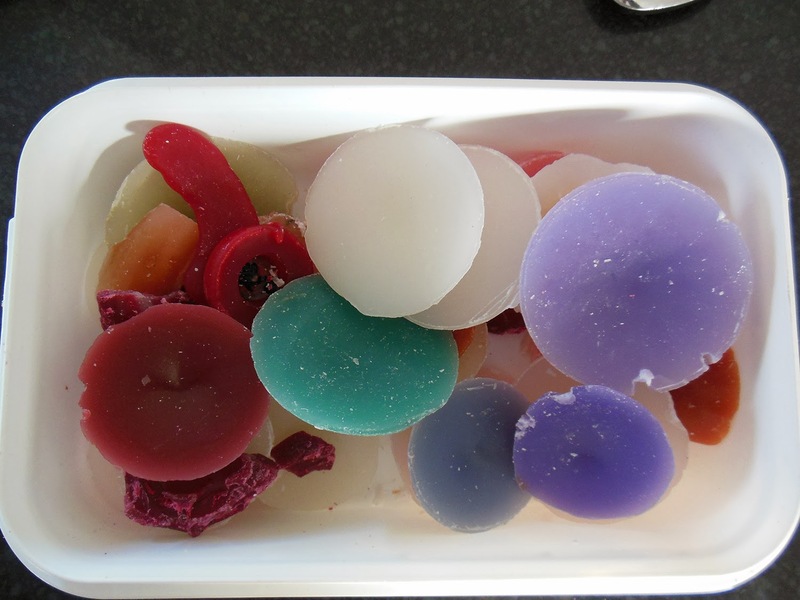 Sizes & shapes of wax pieces will also vary. Fill cups with shavings. Pour 150-160 deg Fahrenheit melted wax in cups almost to top. Let cool. Dribble on colored wax (optional).